TeamSupport gives you simple, yet robust tools in order to customize your system. 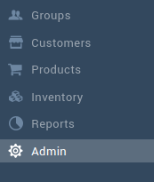 The Admin section of TeamSupport is only visible to those with Administrative rights. If you do not see the Admin section and feel you should have access, please contact your TeamSupport administrator.